Club tennis practices for upcoming tournaments. 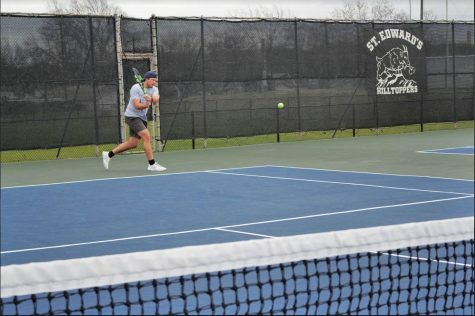 St. Edward’s University didn’t have a club tennis team until last year. The team didn’t have many recruits last year, as they were still starting to get the program running. But, this year, with a heightened sense of camaraderie, the team has found strength in numbers. 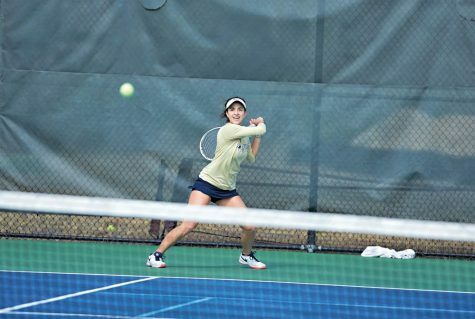 Lexie Elliott, junior religious studies major, is starting her second year as president of the club tennis team. 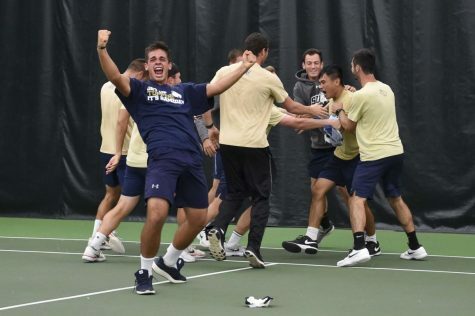 As a freshman, Elliott wondered why St. Edward’s didn’t have club tennis. After one semester, she decided to take on the reigns and start the team on her own. “I just kind of wanted it and I knew there was a need,” Elliot said. 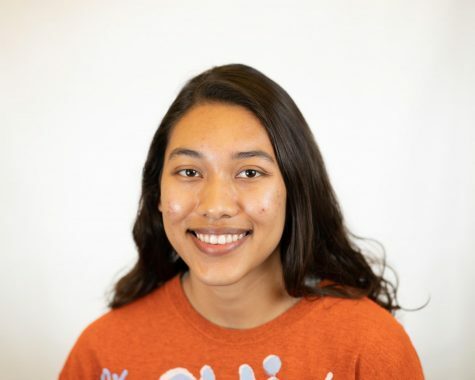 During her freshman year, Elliott went to Andy Lemons, Director of Campus Recreation, to figure out the steps she needed to take to start the club. She mentioned how the process proved to be challenging at times. 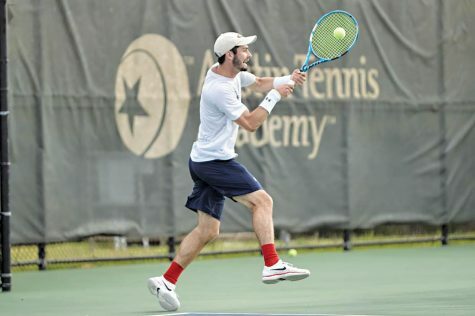 While involved in the tennis community in Austin, Elliott then also joined the club sports community at St. Edward’s. “We’re a part of USTA [United States Tennis Association]. They have a whole section of tennis on campus like a bunch of other club sports. UT is a part of it. Texas Tech is a part of it. 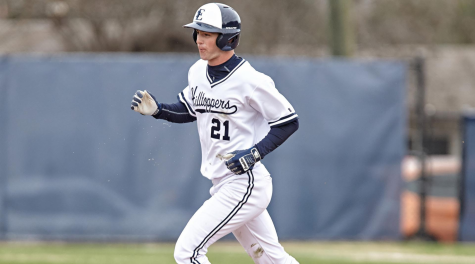 Getting to know them and getting to know the bigger system was difficult in that I had to meet up with them and talk to them about what I wanted, and this was all my freshman year going into sophomore year,” Elliott said. 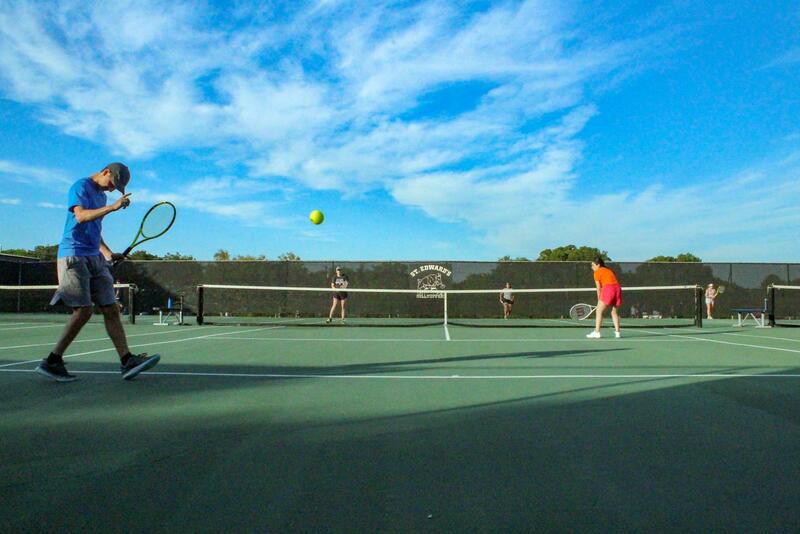 A step in starting the club tennis team required Elliott to make acquaintance with Campus Rec and its community. “In Campus Rec, I think [the most difficult part] was just getting into the community…all of the other club sports knew what they were doing…so that was intimidating,” Elliot said. 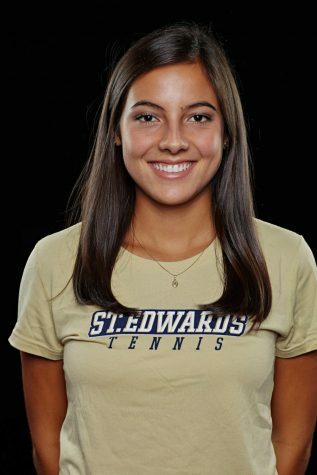 Nevertheless, Elliott persisted until she was able to officially start the team for the fall 2017 semester. She remembers how, at first, it was taxing to see the success of other club sports. She noted the other teams’ large turnouts at their practices. Elliott wanted her team to be as successful and as well-known as other club sports on campus. As of now, the team has grown exponentially. Beyond taking the steps to form the team itself, Elliott also had to ensure that she was forming relationships with her players throughout the school year. She worked hard her first year to plant the seeds for her team’s future. “Last year I really focused on building a community within the team. 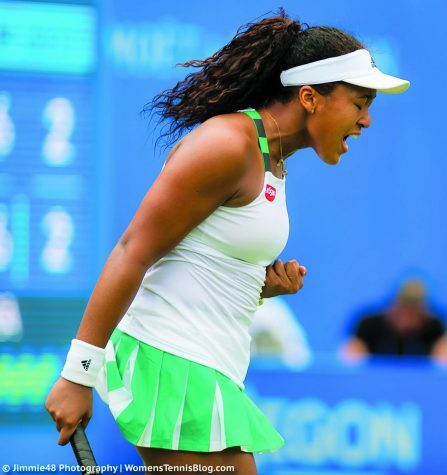 We didn’t play a lot of tournaments but…I cared about what practice looked like,” Elliott said. This paid off. There are twice as many new faces on the courts. Daniella Romeno Cossio, a sophomore global studies major and new recruit, says that she joined the team because she wanted to stay active. “I’ve always liked [tennis]…I wanted to do a sport. I didn’t want to sit around,” Romeno Cossio said. Elliott plans to have the team compete in more tournaments during the year in order to allow them to improve their overall skills. She also hopes that this will gain the team more recognition within the community. This year, the team has hired a coach to assist in training the players. He runs drills with them and prepares them to play actual matches. Elliott said that he has helped her manage the team and he has also proposed tactics on how they can keep improving.